Observation notes: First time I have ever seen this butterfly and I got so lucky to have gotten two good pictures of it. 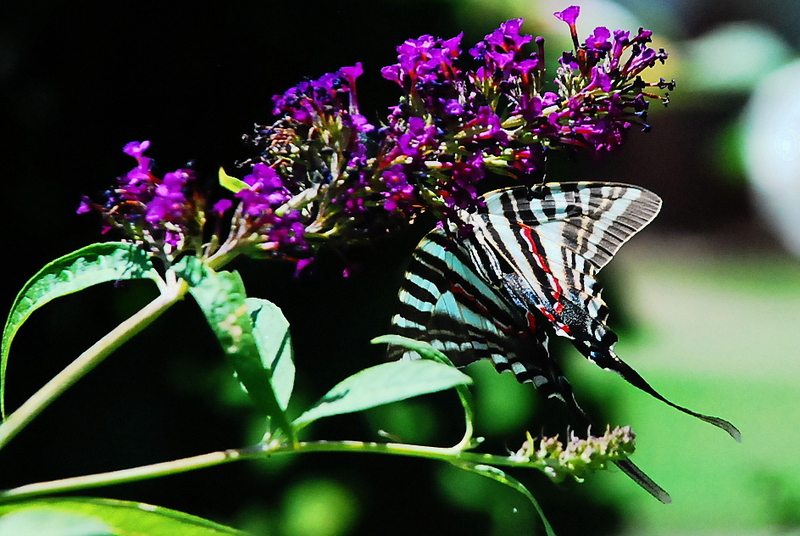 Pretty flighty butterfly, only in sight for about 5 minutes, did not let me get super close. 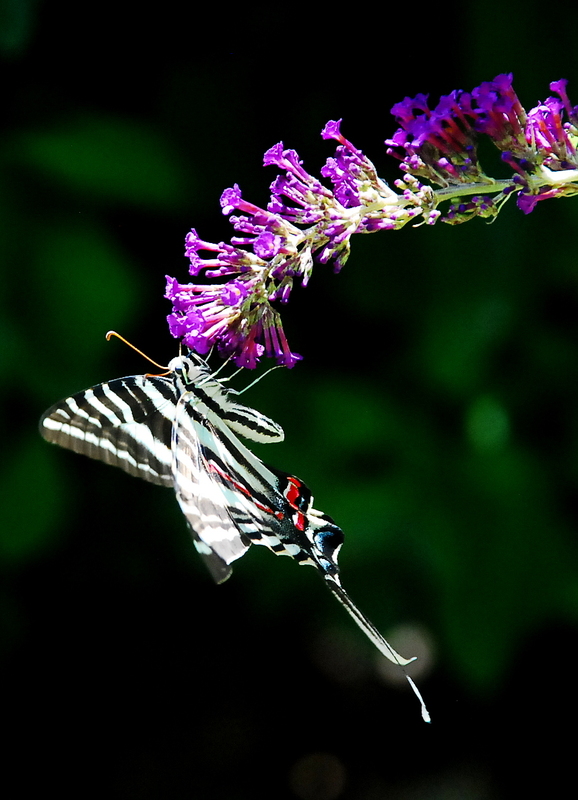 Feeding from a purple butterfly bush in my yard, next to my house, in the small town of Pittsburg KS. Sunny, hot weather, 90+ degrees. I have a barely established 2 year old butterfly garden with milkweed, dill, butterfly bush, etc. It was only interested in the butterfly bush. Didn't stand still for long at all, always on the move.